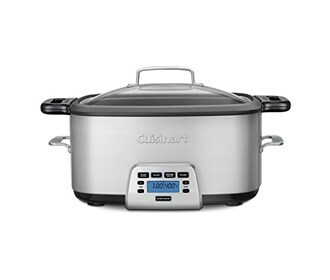 The Cuisinart Cook Central is a 7-quart multicooker that simplifies cooking by letting home chefs brown ingredients right in the unit before slow cooking. It has preset function buttons and temperature controls that offer brown/Saute, slow cook and steam options making the unit perfect for a wide range of dishes. The cooker is a compact and convenient way for families to prepare everyday meals. It has 24-hour timer that automatically keep warm function that ensure hot meals. The Cuisinart 7qt 4-in-1 Multicooker Cook Central has many exciting features for users of all types. You can extend the lifetime of your Cuisinart 7qt 4-in-1 Multicooker Cook Central with the purchase of a FactoryOutletStore Factory Protection Plan. 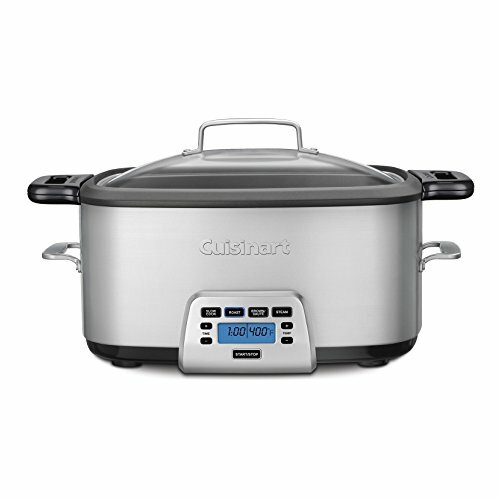 See the Cuisinart 7qt 4-in-1 Multicooker Cook Central product video and gallery images above for more details. The Cuisinart 7qt 4-in-1 Multicooker Cook Central is sold as a Brand New Unopened Item.